Melt one teaspoon coconut oil in a pan on a medium heat. 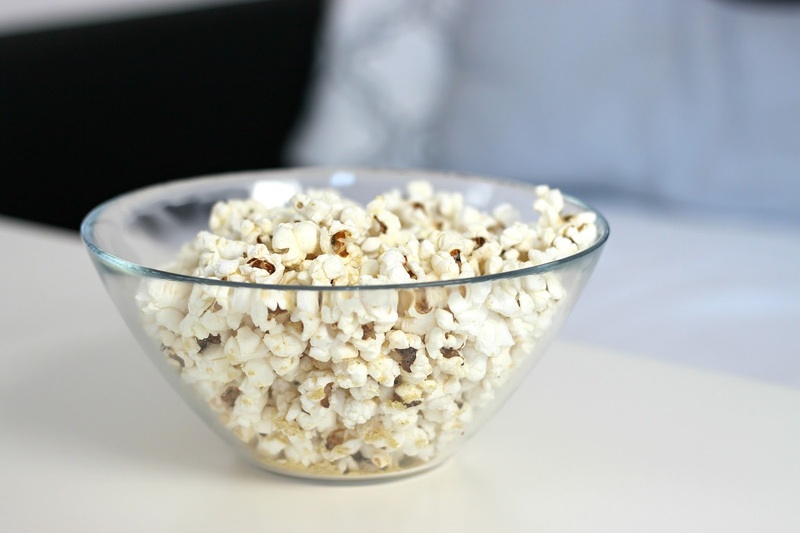 Add in the kernels, cover and shake every so often to prevent the kernels from burning. Once they’ve popped, transfer to a large bowl and melt the other two teaspoons of coconut oil in the pan whilst it’s still hot. 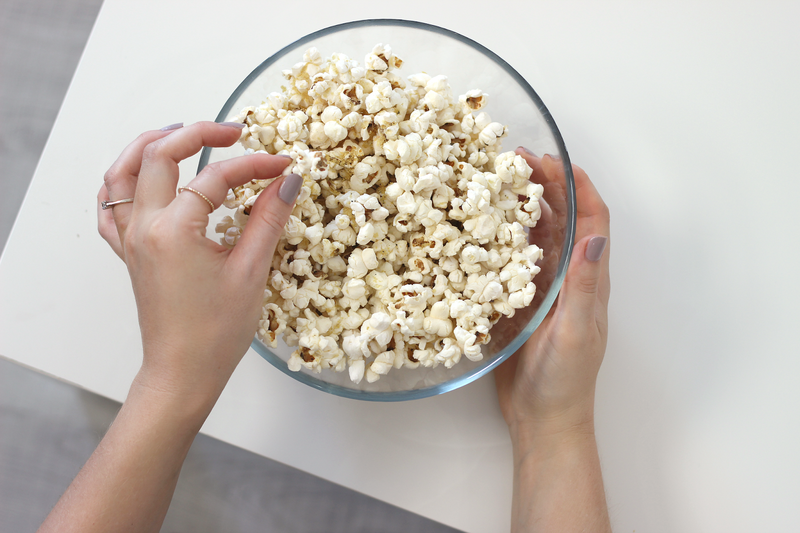 Drizzle the oil over the popcorn and shake well. Crumble over the nutritional yeast, add the onion and garlic powders and season with salt and black pepper. Shake again and serve. 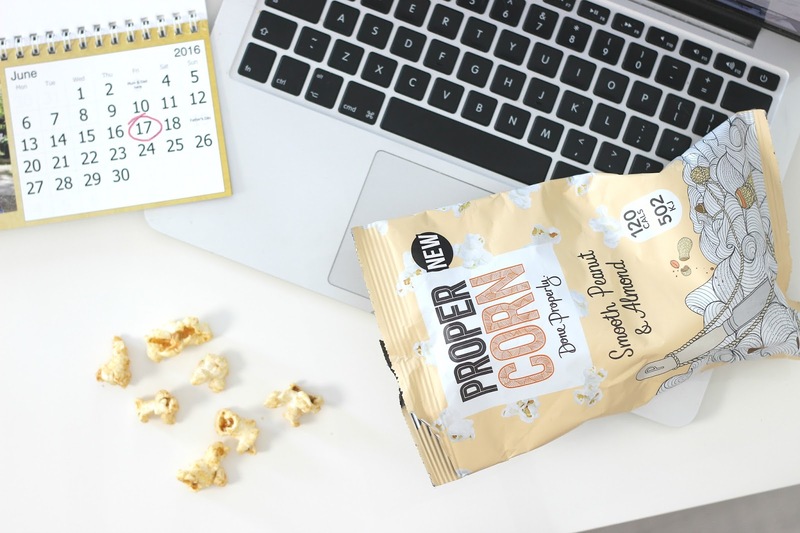 I'm more of a savoury kind of foodie than sweet and much prefer my popcorn made with the aforementioned tastes, getting some of my inspiration from on-the-go popcorn packets from Propercorn and their range of both savoury and sweet flavours, most of which are vegan friendly and they'll even state so on their packs. They're also hand-popped, non-GMO and only use all natural flavours - I have a whole lot of love for their Fiery Worcester Sauce & Sun-dried Tomato flavour but in terms of something a little different, I've been snacking on the Smooth Peanut & Almond option, so much so that I came up with a Vanilla-Caramel popcorn drizzle using almond butter as the main ingredient - you can get your hands on that recipe right here.